We're all familiar with vulture funds: they landed here in 2012 and have been gorging themselves on distressed loans and associated security ever since. Some have already taken flight back to the US, struggling to get airborne filled as they are with billions of dollars. Remember, there's nothing unlawful about that. We invited them in and fed them. For the first few years they chomped on fleshy commercial real estate assets by appointing receivers to make a quick easy return on their loan to own investment strategy. As the quality of the assets and associated security got worse they had to resort to threats of receivership and court proceedings for summary judgment to worry borrowers into voluntarily selling property to meet the debt. Chewing hard on sinew and entrails, it probably tasted as good, but there just wasn't as much of it. Now we're left with the bones as it were. But the vulture funds are not finished. They're cracking dem bones open to reveal all that's left; the personal guarantee marrow. I've heard rumours of a €600K debt unsecured save for a personal guarantee being bought for €3,000. There's a reason the debts backed by personal guarantees can be so cheap: they're usually a pain in the long feathery neck to collect. 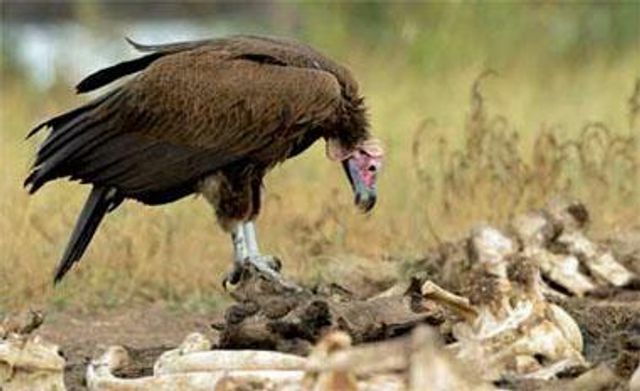 First the vulture fund has to get a judgment from the court. That's often not a very straightforward process for the reasons I'm setting out here. Even if it gets its judgment at the end of a potentially long and unpredictable process it has to enforce that judgment against unencumbered assets, assuming the borrower has any. That's an even longer and more expensive process for the vulture fund. But the process always begins with an attempted (fully lawful remember) shakedown. If you're on the receiving end of a threat in relation to a personal guarantee here are some of the things you need to know. A contract of guarantee normally has to be in writing but there are limited exceptions to this rule. The courts recognise that there is usually an imbalance between the bank (now vulture fund) seeking the guarantee and the guarantor so guarantees are strictly interpreted against the fund. After all, the guarantor exposed himself to a significant liability usually in return for very little. The guarantor’s liability can't exceed that set out in the contract. If there is any doubt or ambiguity as to a term of the contract the courts will interpret the term in favour of the guarantor. That is because the original lending bank usually drafts the terms of the contract. If the guarantor was put under unfair pressure or influence (undue influence) to the extent that he didn’t use his free and independent will. This has been considered where a wife has guaranteed her husband’s business loans. As the wife would ultimately benefit from the business’s profit the court has upheld the guarantee. In Ireland a bank is only on notice of undue influence if it has actual knowledge of the fact that undue influence or misrepresentation was used to get the guarantee. If the contract of guarantee was so disadvantageous to the guarantor that it effectively takes unfair advantage of him it is an unconscionable bargain. This will only happen in the rarest circumstances. Where a guarantor offers his family home as security, then unless the spouse has given fully informed consent, the security will be unenforceable. The court has also considered the position in respect of personal guarantees where an elderly man guaranteed his son’s liabilities and gave his home as security. The security was void because no family home declaration was obtained from the guarantor and he was never advised to get independent legal advice even though he was offering up his only asset and getting nothing in return. Bank guarantee contracts contain a boiler plate clause that provides that the guarantee is ongoing. For example the guarantor continues to guarantee an overdraft even though account balance will sometimes be zero. A specific guarantee covering a term loan is extinguished once paid. If the principal debtor is to be given a new loan then a fresh guarantee must be given. It can’t be that an old guarantee will over a new loan, notably, even if the guarantor thought that it did. In addition now that we are dealing with personal guarantees that have been assigned from the original bank to the vulture fund the first thing we need to check is if the assignment itself was lawful. The guarantor shall not be discharged by any granting of time by the bank to the principal debtor, or the variation of the contract between the bank and the principal debtor. The Consumer Credit Act, 1995 (and subsequent Regulations and Codes of Conduct introduced on foot of the Credit Crisis) have given the banks and now the vulture funds a real headache. The fund is obliged to ensure that the borrower got a copy of the credit agreement; that the agreement contained the names of and was signed by all the parties; that it informed the borrower of a cooling-off period; and that it contains a statement of any costs and penalties the borrower will be liable for. If these obligations have not been complied with then there is a real risk that the agreement and associated guarantee will be unenforceable. Crucially for the vulture fund they will usually be in no position to provide evidence to the Court as to the circumstances surrounding the provision of the guarantee by the original bank which may have happened a decade ago. Similarly, where for example a parent guaranteed the purchase by an adult child of a property, the parent may have presented the security and charge documents to the child at home. In those circumstances the loan contract may come within the scope of the Distance Marketing Regulations where the mortgagor is a consumer. Under those Regulations a distance contract may not be enforceable against a consumer if the supplier has failed to give certain information to the consumer. This information includes details of certain contractual terms and conditions and the total price to be paid by the consumer. If the bank did not the Courts may find that the relevant mortgage or loan contract and the associated guarantee are unenforceable. This is a complicated area of law. Every case must be dealt with on its specific facts. You should not act on the information contained in this note. Instead you should seek our specific advice. But before you do that do not admit to any debt allegedly arising on foot of a personal guarantee. Leman advises corporate borrowers and alternative finance providers in respect of all matters relating to commercial lending disputes and enforcement. We have advised in some of the largest and most high profile commercial lending disputes in Ireland. We thoroughly enjoy our work. For more information contact Ronan McGoldrick. It appears the action is being taken to enforce guarantees given by members of the Cork family for property loans made by Anglo Irish Bank.